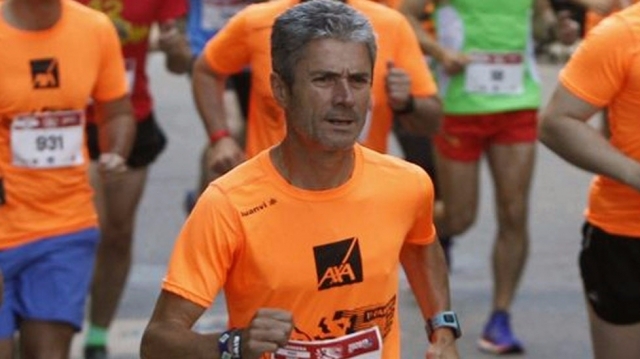 The athlete Martín Fiz has been present this Wednesday in the town of Sarria, a common place for pilgrims and the beginning of the Camino de Santiago for many of them. In a tent set up by specialized brands such as Chiruca or Gore-Tex, the marathon champion has left the pilgrims with some tips to travel the Camino de Santiago prepared, with comfort and safety. The athlete has recommended habits such as moisturizing the skin, cutting his nails and choosing appropriate socks, marking the importance of the pilgrims change their footwear once they finish each stage, so that the foot rest. Other similar tents have also been installed in the towns of Santo Domingo de la Calzada, Burgos, Astorga or Santiago de Compostela, where several podiatrists advise pilgrims about the care of their feet on the Camino de Santiago, where the effects must be avoided of moisture and sweat, such as blisters or scrapes. The care of the feet in the Camino de Santiago is extremely important and a factor that every year many pilgrims neglect by ignorance; A simple blister due to moisture in the foot or a slight injury to an ankle by wearing inadequate shoes can slow our progress on the Camino de Santiago and condition our trip.